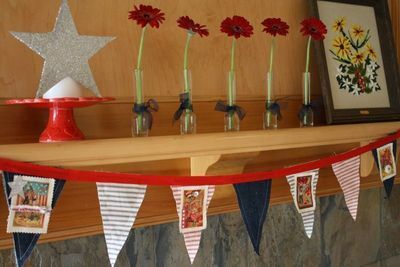 Upcycle some old jeans into a cool banner! This is a fun project + a great way to use up random embellishments, fabric scraps and old denim jeans (yours or your husband's LOL). Supplies: Denim Jeans you'd like to upcycle, Canvas, Red + Navy Ticking (although you can use whatever! 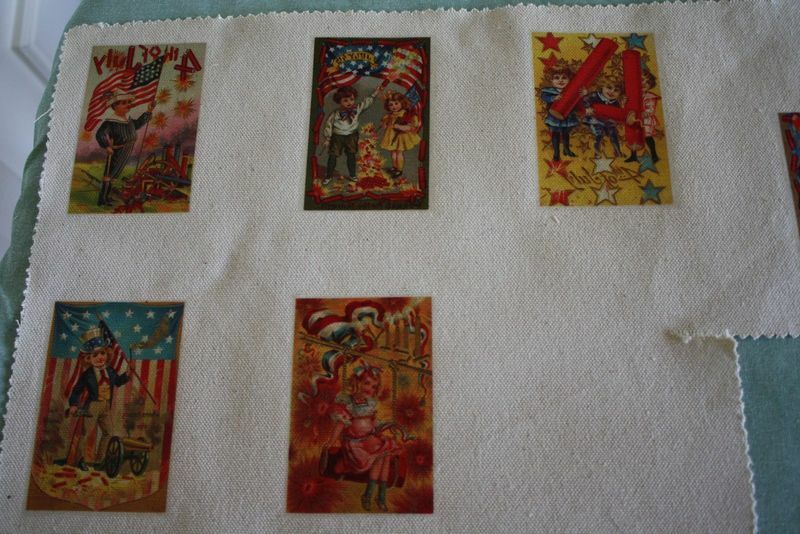 ), Fabric/T-Shirt Transfer Paper, Victorian Fourth of July One by Piddix. 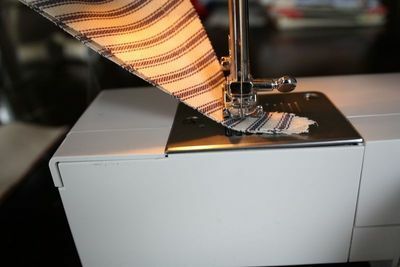 Sewing Machine or hand needle and thread, Fabric Tac, Wide Bias Tape, Embroidery Thread, Random Embellishments. Pinking Shears (optional) or scissors. Iron + Ironing Board. 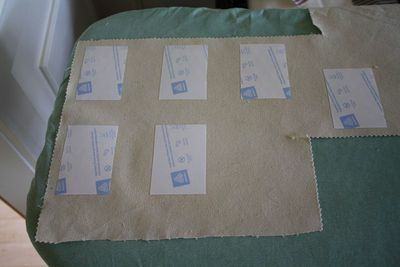 Make yourself a template out of cardstock (mine is 5" by 8" by 8"). 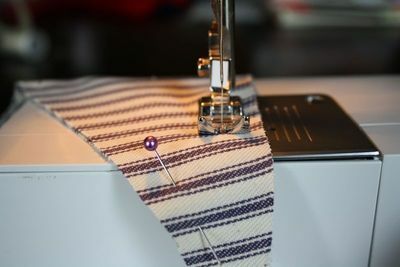 Cut 6 triangles out of the jeans, 6 out of the Red Ticking and 6 from the Navy Ticking. Sew your triangles into pennants. I made a 1/2 border around the two long sides. When you get to the edge of the pennant, to make a angle, leave your needle in, lift the foot, and pivot the fabric. Download your graphics from Piddix and print on the T-Shirt Transfer paper (follow package instructions). I cut the individual images out before transferring them to canvas. This is when I figured out my images were backwards and than meant the writing was too! I'm sure there's a way to remedy this but I decided to dig into my embellishments stash. 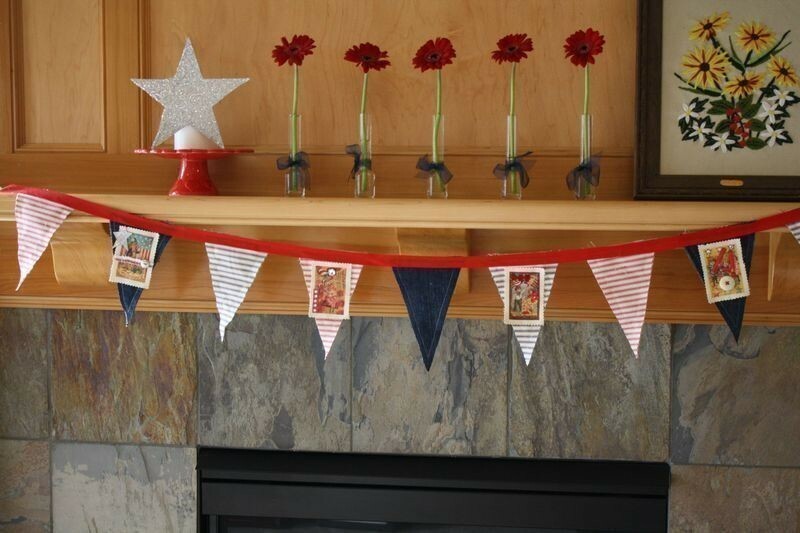 You could also just print the images onto cardstock and sew or adhere them to your pennants. From Piddix on flipping images-- "For reverse printing, many printers have an option under layout for "flip horizontally." I chose my four favorite images, cut them out with pinking shears and decided where to put them. My pattern was red ticking/denim/navy ticking. 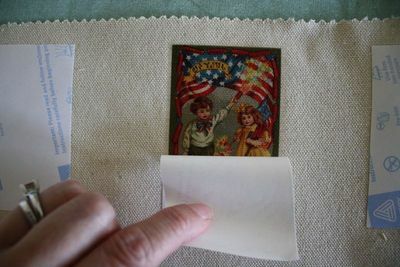 I embellished the images before sewing so I could see "where to sew" but you could sew the canvas to the pennants first. I measured my mantle (ok when I say "measured" I mean I stretched my bias tape out on to figure out how long the project needed to be). 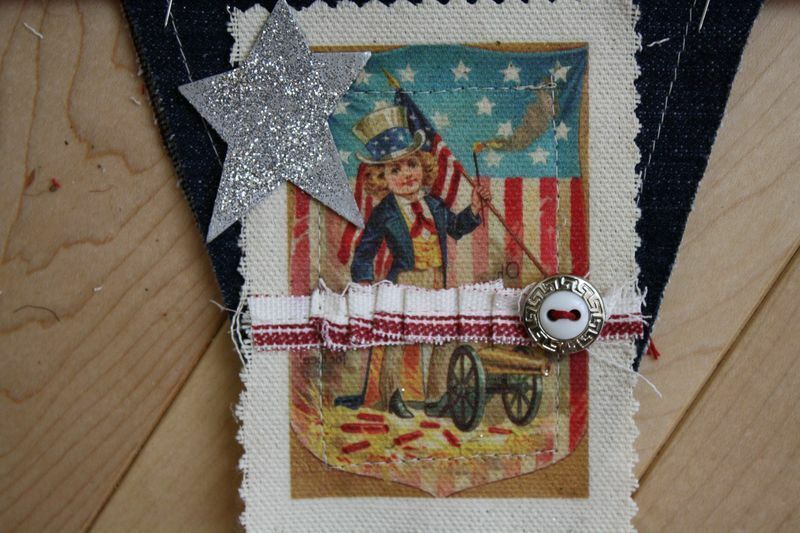 Then I pinned and sewed the pennants to the bias tape. I also went over the project with my Fabri-Tac in hand to secure any loose spots. That's it! 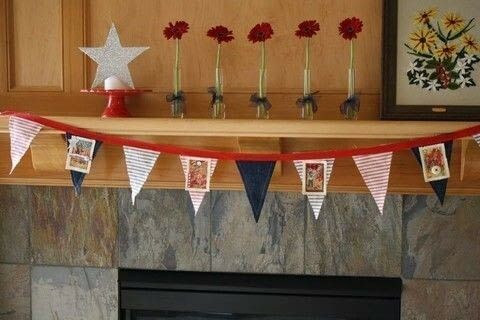 I'm using this to decorate the house for Memorial Day and again for Fourth of July.